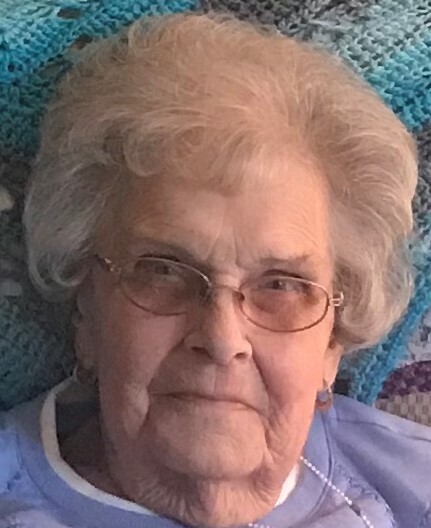 It is with great sadness that the family of Elaine I. Kurzejewski, of Blossburg, announces her passing on Saturday, April 6, 2019, following a brief illness, at the age of 88. Elaine will be lovingly remembered by her six sons, Dennis (Ginger) of Mansfield, David (Gloria) of Covington, Donald (Janice) of Blossburg, Douglas (Patti) of Sunrise FL, Dale of Hollywood FL and Daniel of Mansfield, as well as her 12 grandchildren and 14 great-grandchildren. She will also be fondly remembered by her 2 sisters, Janice Van Duyne of Wellsboro and Sharon Yessa of Greenville SC.Born September 25, 1930 in Wellsboro, Elaine was the daughter of the late John and Hazel (Irwin) Ingerick. She attended the former Charleston High School. On May 6, 1950 she married Costy Kurzejewski who predeceased her on December 6, 1996. She was a member of Holy Child Catholic Church, Mansfield. Elaine was a former co-owner and officer of Costy’s Chrysler Plymouth Inc., Mansfield. “Mrs. Costy”, as she was often referred to, was an avid North Penn Panthers fan and enjoyed watching any sport. Elaine truly loved spending her summers with her friends and family at her Keuka Lake residence. The family will receive friends at Freeberg Funeral Home, 120 N Williamson Rd., Blossburg, on Tuesday, April 9 from 4-7 PM. A Mass of Christian Burial will be celebrated in memory of Elaine on Wednesday, April 10, at 10:00 a.m., at St. Mary’s Catholic Church, 138 St Mary’s St, Blossburg with the Reverend Bryan Wright presiding. Interment will follow in the St Andrew’s Cemetery, Blossburg. The family will provide the flowers. Memorial donations may be made to The Jones Foundation, c/o Trust Department, First Citizen’s Community Bank, 15 South Main St., Mansfield PA 16933.